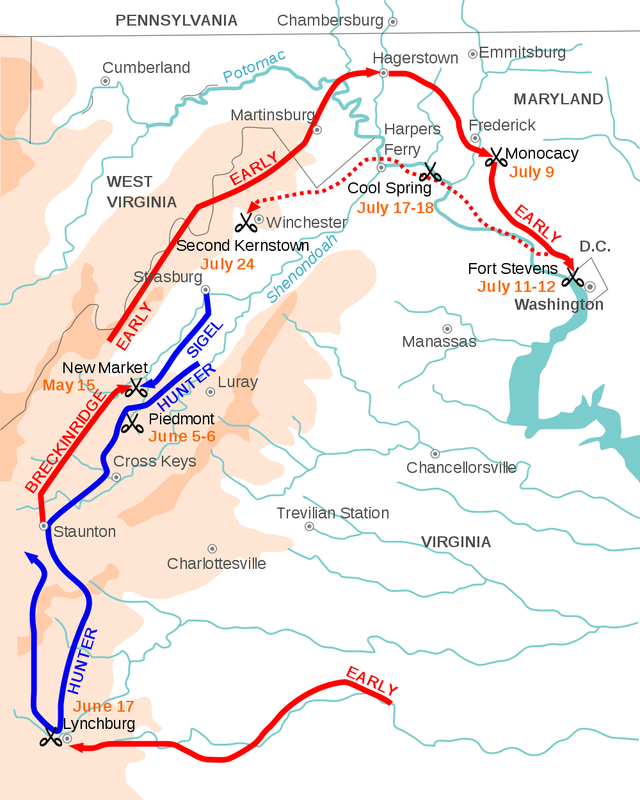 (Wikipedia) The Second Battle of Kernstown was fought on July 24, 1864, at Kernstown, Virginia outside Winchester, Virginia, as part of the Valley Campaigns of 1864 in the American Civil War. 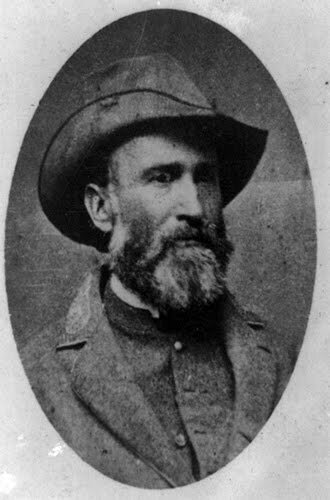 Confederate Lt. Gen. Jubal A. Early soundly defeated Union Brig. 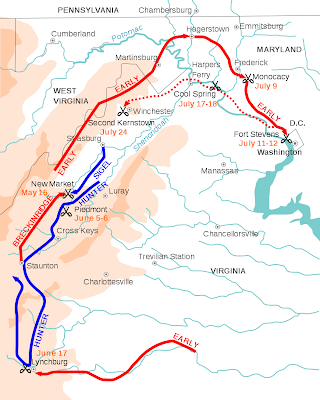 Gen. George Crook and drove him from the Shenandoah Valley back over the Potomac River into Maryland.